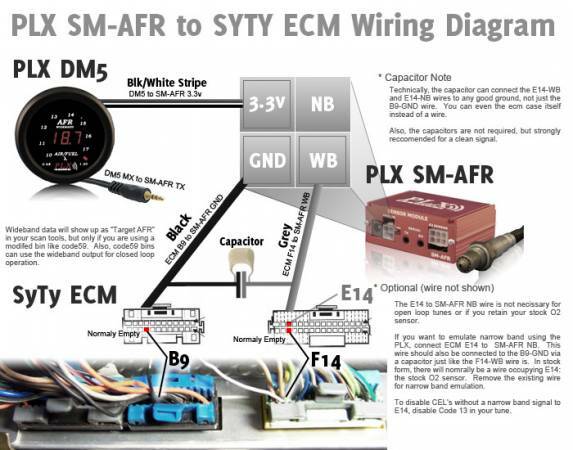 Installing a PLX SM-AFR wideband oxygen sensor onto a Syclone or Typhoon is pretty strait forward. If your using code59, you can even use the wideband to supply wideband data directly to your ecm. The following diagram describes how to connect the PLX SM-AFR widband and gauge to the ECM. 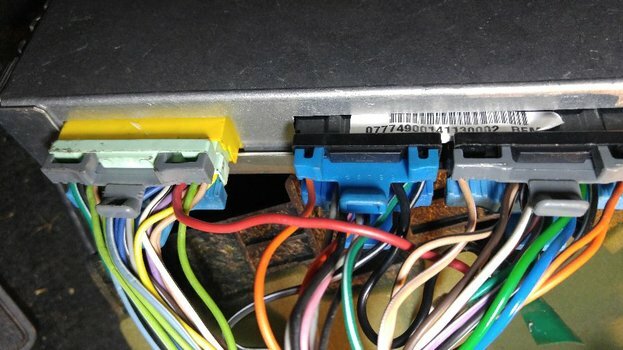 In the photo, it's on the left connector, top row, 3rd from the right. It's normally empty. Most widebands want you to connect the ground to the ECM as well. 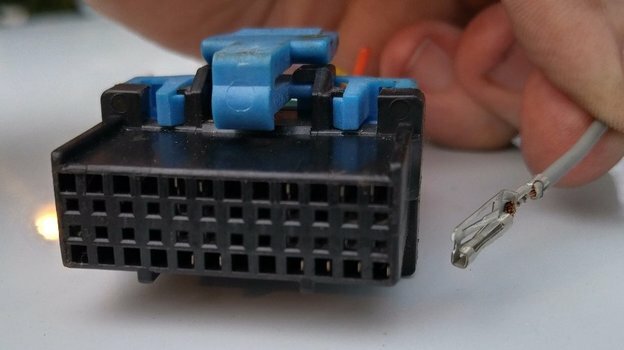 Connect the ground to the ECM B9 pin as shown here. In the photo, it's in the middle connector, top row, 4th from the right. The pin is normally empty.